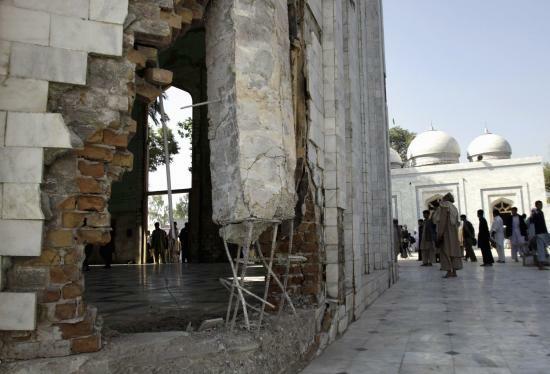 The horrific suicide bombings which claimed over 40 lives on Thursday night at the shrine of the revered sufi poet Hazrat Daata Ganj Baksh, the patron saint of Lahore, are a gory reminder of the urgent need for all concerned to join forces against ‘terror’. A little over a year ago, after the attack on the Sri Lankan cricketers in Lahore in March 2009, Siddharth Varadarajan urged India and Pakistan to forget the conspiracies and acknowledge that they face the same threat – ‘Lahore attack shows urgency of joint action on terror‘. He suggested that “Cricket is the most visible icon of secular Pakistan, and perhaps the only competitor militant Islam faces in its struggle to tame the wayward Pakistani mind”. My response was that there is another, even more deep-rooted competitor that militant Islam faces – the deep-rooted, widespread adherence to Sufi Islam and values, superstition, taweez dhaga etc. “I fear (hope hope hope I am wrong) a major attack on any urs taking place at any of the major shrines any time soon,” I wrote at the time.